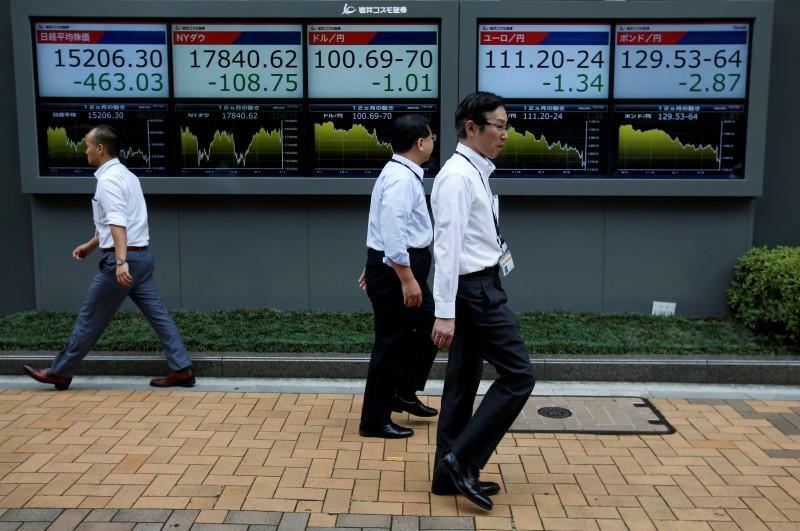 SYDNEY (Reuters) - The U.S. dollar gained on the yen in Asia on Monday as investors unwound safe haven trades in the wake of the failed coup in Turkey, while better U.S. economic news and the promise of central bank stimulus lent support to equities. The Turkish lira was indicated around 3.0188 (TRY=) after the dollar climbed almost 5 percent late Friday to a six-month peak around 3.0476. Dealers noted liquidity was minimal and a true price would only be found once Turkish markets opened. Ankara said it was in control of the country and economy and widened a crackdown on suspected supporters of the failed military coup, taking the number of people rounded up in the armed forces and judiciary to 6,000. The initial reaction of investors to the coup had been to bid up safe havens such as the Japanese yen, but that was quickly unwinding. The dollar was back up at 105.80 yen (JPY=) having briefly been as low as 104.63 late Friday, with trade further thinned by a holiday in Japan. Likewise, the euro had steadied at $1.1055 (EUR=) after gapping as low as $1.1021 on Friday. The EMINI futures contract for the S&P 500 was up 0.2 percent (ESc1), following on from Friday's upbeat U.S. economic data. The Dow (.DJI) had ended 0.05 percent firmer, while the S&P 500 (.SPX) and the Nasdaq (.IXIC) both lost 0.09 percent. There was no trading in cash U.S. Treasuries because of the Tokyo holiday, but the futures contract for the 10-year note was off 2 ticks (TYc1). In commodity markets, spot gold (XAU=) eased a touch to $1,331.80 per ounce. Oil prices were little changed at first. Brent crude (LCOc1) was up 2 cents at $47.63 a barrel, while NYMEX crude (CLc1) fell 14 cents to $45.81.